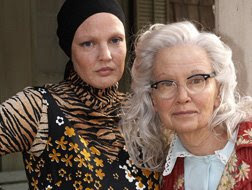 Last night I was lucky enough to get see a screening of the new HBO film Grey Gardens starring Jessie Lange as 'Big' Edie Bouvier Beale and Drew Barrymore as 'Little' Edie. Since I don't have HBO, this was the only way that I was going to see the film until it came out on DVD. As a native New Yorker, I was aware vaguely of the story of Jacqueline Onassis' relatives out on Long Island, and the documentary that was made about them, but I had never actually seen the film until two years ago after I had seen the Broadway musical of their live starring Christine Ebersole. 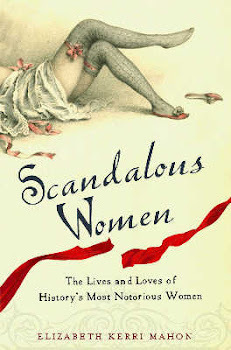 After seeing the documentary and the musical, I wasn't sure that the world needed another depiction of their lives unless it was in book form (so far there has been no real biography written about these two women apart from a book by the Mayles and reminiscences from people who worked for them). I'm glad to say that I was proved wrong after seeing this film. I was incredibly bowled over by the performances, particularly that of Drew Barrymore as 'Little' Edie. For the past six or seven years, Drew's performances have chiefly required her to be just adorable, which she is, but she's never really had an acting challenge in any of them. Grey Gardens definitely takes her out of her comfort zone. For the first time, she has lived up to the legacy of her last name, Barrymore. I think her grandfather John and her great-uncle Lionel and great-aunt Ethel would be proud of her. Jessica Lange, well one expects an amazing performance from her, and she doesn't disappoint. The two women play so well off of each other, almost as well as the real life characters that they portray. The film starts off depicting the moment in 1973, when filmmakers Albert and David Maysles entered the strange world of "Big Edie" and "Little Edie" Bouvier Beale. The filmmakers spent six weeks with the reclusive mother and daughter who chose to live in squalor and almost total isolation in a decaying, 28-room mansion in East Hampton. Interspersed with the present day filmmaking are scenes from the past, starting in 1936 when 'Little Edie' is about to make her debut in front of her New York society at the Pierre Hotel. 'Big Edie' was the sister of 'Black Jack' Bouvier, father of Jacqueline and Lee. She is married to Phelan Beale (Ken Howard), but the marriage is showing signs of cracking apart. 'Big Edie' loves to entertain at parties, singing for her guests. Although 'Little Edie' wants to be an actress and dancer, her mother encourages her to get married instead, telling her that it is possible to have her cake and eat it too. Director and co-writer (the film's other writer is Patricia Rozema, who wrote and directed the wretched film of Mansfield Park starring Frances O'Connor) Michael Sucsy's offers a wry, behind the scenes look at the lives of these two extraordinary and eccentric women. The film is told over the span of four decades, the film focuses on their glamorous and well-heeled lives long before the making of the documentary and on the circumstances behind their riches-to-rags story. The film depicts 'Little' Edie's affair with Julius Krug (played by Daniel Baldwin who sounds exactly like his brother Alec), a married man and member of Truman's cabinet during the years that she lived in New York at the Barbizon Hotel for Women (where Grace Kelly also lived) during the late 1940's. After the death of her father, Edie moves back home to Grey Gardens. Krug ends their relationship, and 'Big' Edie convinces her daughter that she will have other chances for an acting career. The deterioration of these women's lives was an incredibly slow process. Some of the saddest scenes in the movie are when 'Big' Edie pretends to be a maid while answering the phone. Afte Phelan Beale leaves 'Big' Edie, she no longer has the money to keep up Grey Gardens, which eats up huge amounts of cash, but she refuses to give up the house. Slowly the two women end up living in one room, surrounded by cats and refuse. It's not until the local health inspectors threaten to evict them, and articles are written about them in The National Enquirer and New York Magazine, that Jackie and Lee come to the rescue, spending money to fix up the house from its prior disgusting appearance. The brief scene of Jackie O (played by Jeanne Tripplehorn) visiting her Aunt and cousin after what appears to be years is priceless. The contrast between what Jackie's life became and 'Little' Edie's is captured. 'Little' Edie is eaten up by envy, she wanted to be famous and adored, and doesn't understand why it should have happened to Jackie who didn't seem to want it. What keeps people coming back to this story is that these two women, 'Big' Edie and 'Little' Edie are every bit as much of an enigma as Jackie Onassis. Why didn't 'Big' Edie's sons do something about the house and the situation before it became an embarassment? What happened in the years during the war? 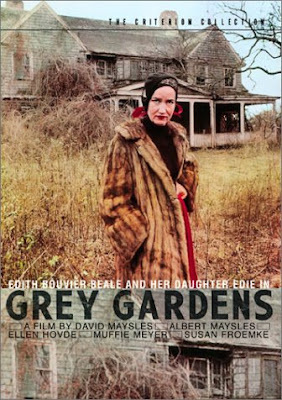 Why did 'Little' Edie really leave the city and come back to Grey Gardens? Was she afraid to really go for her dreams? Was it just a guilt trip from her mother? The relationship between the two women is one of co-dependence, they can't live with each other but they can't seem to live without each other. The film ends with the premiere of the film of Grey Gardens and 'Little' Edie's cabaret debut at Reno Sweeney's in New York. 'Big' Edie died shortly after the movie opened, and her daughter sold the house to Ben Bradlee of The Washington Post and his wife with the proviso that they had to restore the house, not tear it down. 'Little' Edie lived in Manhattan for a time, before finally retiring to Bal Harbor in Florida. I highly recommend this film. In fact, I would suggest a double feature of the HBO film and then watching the documentary. Oh now I REALLY want to see this! I just saw the previews the other day and was intrigued. Thanks for such a great review! I find it amazing that there are many people who are born of great means and they choose to live an eccentric life. When I lived in the city, our neighbors were like that, the apartment was infested, they never really ever came out, they drank, and my twin sons loved them. They gave us such an glimpse into an odd life. I knew they were wealthy, but chose to live that way. It was sad to see and I know I will find this sad too - but inspiring for the bond they had. I'm glad that you liked the review. It's a great movie. It's interesting, I was talking to a friend about it afterward, and I said that Big Edie and Little Edie just had no idea how to take care of themselves. They had both been used to servants, so the idea of washing dishes or cleaning was foreign to them, and they just didn't do it. Grey Gardens was a 28 room mansion, which would be impossible for 2 people to keep up by themselves. Big Edie once said that eccentric just meant people without money. 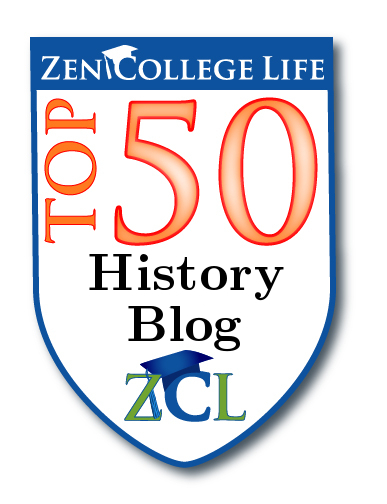 I just discovered your blog, and am thoroughly enjoying it! It's really wonderful! Thank you for the review of "Grey Gardens". Having seen the original movie, the broadway play and reading the one available book I felt the same way you did about the possibility of this new movie. Your review changed my mind though, and now I am very anxious to see it. 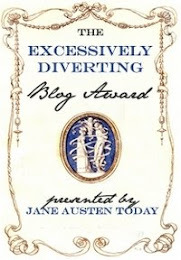 I am looking forward to following your blog. I am especially interested in what you have to say about Belle Da Costa Green. I read the recent bio about her, and found it very interesting. What a life she made for herself. Hi Wendy! Welcome to the blog. Yes, I'm a little obsessed with the ladies of Grey Gardens. 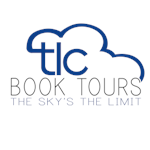 Two new books are coming out soon about them which are on my Amazon wish list. I'm probably reading the same book that you read. She's fascinating. Thanks for this, Elizabeth. I am intrigued. Of course, when I tried to add the original documentary to my Netflix queue the wait was described as VERY LONG. Enjoy your blog very much. You are welcome Judy. I've now decided that I need to own both the original documentary and the one with the extra footage. I have been trying to catch up by watching Grey Gardens first...and today it is my 4th time! something new everytime! thank you for the information about the women before they lived in the mess. I have been looking for information about them to figure out their lives beforehand. can't wait to see the HBO DVD! funny how we all try to conform and hide our uniqueness! something we need to learn from these ladies! forget about the mess and see how beautiful it was for them to be themselves! Prayers for these women who are together again probably singing and dancing peerfectly in Heaven! I can't wait for the HBO DVD so then I can watch Grey Gardens to my hearts content, both the documentary and the movie version. If I had a DVD of the musical, I would be in hog heaven! I loved it. I loved both the orig and the HBO version. Nice review. Thanks Kwana. Wasn't it great? There's something about those Bouvier women.